SuperPhillip Central habitually checks out underrated and overlooked games throughout the year, and every Monday we post music from various video games. So the idea came years ago to combine these idea into one new series of articles: Underrated Games With Even More Underrated Soundtracks! We're now on our fifth installment since beginning some time ago. Part five of this series looks at underrated gems like the recently released Gravity Rush 2, Paper Mario: Color Splash, and a Wii U launch title, Nintendo Land. We begin with a game that if I hadn't already owned it, the soundtrack would have pushed me to do so. That's how fantastic Gravity Rush 2's soundtrack truly is. The music of this very overlooked early 2017 PS4 exclusive is composed by Kohei Tanaka, whose resume is as long as it is impressive. Such composition credits include his work on the PS1 cult classic Alundra, as well as working on anime like a little known title called One Piece. Tanaka-san brings his embarrassment of composition riches to Gravity Rush 2 with a lot of playful themes on top of more rock and jazz focused numbers. 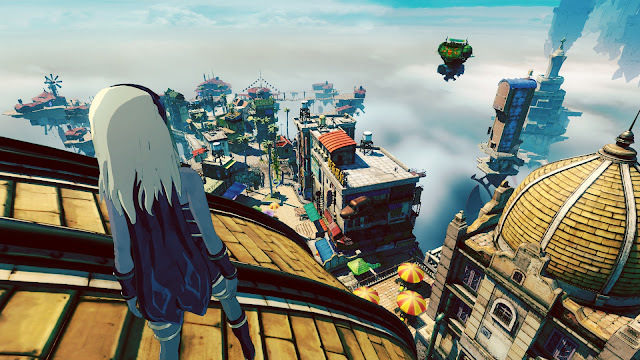 Gravity Rush 2 itself is a much improved sequel to the PlayStation Vita original, offering better gameplay and control. If you're looking for a game with lots of charm and personality for your PS4, Gravity Rush 2 is that game. Speaking of charm and personality, you get that sevenfold with Paper Mario: Color Splash. You also get one of the funniest games on the Wii U and recently released in general. Color Splash is a marked improvement over the base gameplay found in the Nintendo 3DS's less than well received Sticker Star. It brings forth a reason to participate in battles, it offers more direction with its puzzles, and you'll seldom be frustrated as to what you need to do next. Then there's the music, which like Sticker Star is quite catchy and memorable. Color Splash has one of my favorite soundtracks of last year, taking familiar themes and giving them a clever twist, as well as wholly original compositions that stand up to any other pieces in the game. By virtue of releasing near the end of the struggling Wii U's life, Paper Mario: Color Splash didn't receive much fanfare from the gaming community, but don't be mistaken-- the game is well worth checking out if at least not listening to its stellar soundtrack. Nintendo Land didn't exactly have the greatest reveal. With a lackluster appearance of gameplay and no fireworks to speak of, Nintendo Land and consequently the Wii U in retrospect were doomed from the start. Nevertheless, Nintendo Land itself is a really entertaining party game with 12 attractions all based around Nintendo franchises, such as Mario, Zelda, Pikmin, and more. 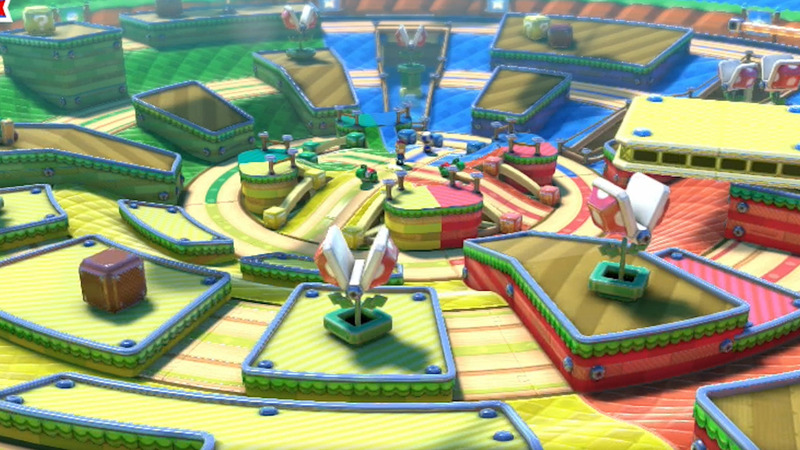 Many of these have multiplayer components to them, and they showcase the Wii U's asymmetric gameplay where one player uses the Wii U GamePad while other players use the Wii Remotes. Each side is doing a different gameplay task, hence the term "asymmetric gameplay." If it's still not clear, don't worry. It's hard to explain perfectly, and that's part of the reason why the Wii U itself was hard to market. Regardless, Nintendo Land isn't just special as a party game; its soundtrack is a collection of familiar remixes of Nintendo franchise music. Rayman Legends is a similar game like Rayman 2 before it in the case that Ubisoft just can't help but port it to every system under the sun. The Wii U was the original, and that was ported to the PS4 and Xbox One. Then, the Vita got its own version. Now, the Nintendo Switch is due up for what Ubisoft is calling the "definition edition." Whether or not the version of Rayman Legends is the definitive one or not, what you're going to get is platforming nirvana with a side of charm, humor, and gorgeous art using the Ubi Art game engine. The music is also quite nice, offering a boisterous orchestra to accentuate all the action. 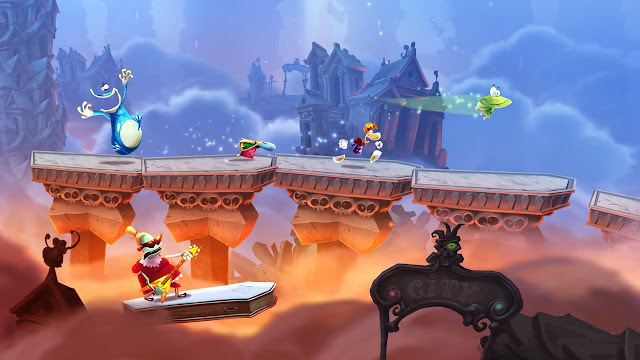 Pretty much everything about Rayman Legends is well crafted and makes for an engaging experience, particularly in multiplayer and particularly if you own the Wii U version which delivers some of that asymmetric multiplayer I was talking about in the Nintendo Land blurb. MadWorld was quite the interesting game. It was unapologetic in its violence and crude humor, and it was the Wii of all consoles, a platform known for its more family friendly content compared to the PlayStation 3 and Xbox 360. 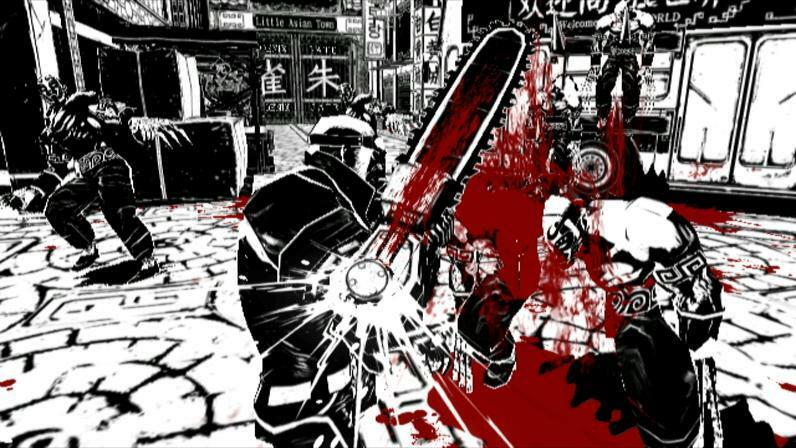 Despite this, Platinum Games' MadWorld ended up being a really fun game even with its somewhat repetitive gameplay. That wasn't what players jumped on first, however. No, it was the game's showcase black and white art style which accentuated all the red blood that would pour from enemies. The soundtrack is all original rap and rock music, and damn awesome ones at that. Sure, songs like "come with it" are a bit too vivid and detailed with their violent imagery and wording, but it's all catchy and it all fits the game really well. It says something when I can enjoy a game's soundtrack despite not having a major love for rap music. Whatever the case, MadWorld was an underrated gem in the underrated library of the Wii. 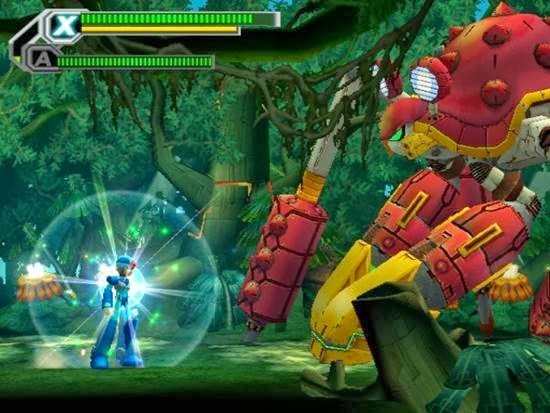 After some stumbles in the Mega Man X franchise with Mega Man X6 and then the failed attempt for the X sub-series to enter 3D with Mega Man X7, it was a greatly pleasant surprise to discover that Mega Man X8 was a winner of a game. Sure, it had its own problems like two of the eight Maverick stages being vehicle-based and not traditional platforming stages, but overall, Mega Man X8 was a good game. Like X7, Mega Man X8 used fully 3D polygonal models instead of 2D sprites, and this was used to nice effect with some levels wrapping around themselves, fully using 3D depth and the like. The soundtrack continues the Mega Man X sub-series' penchant for excellent music. Most of X8 is hard rock, as you can see-- er... hear-- by these examples provided below.